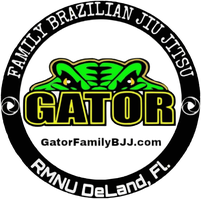 About - Gator Family Brazilian Jiu-Jitsu, DeLand Fl. Brazilian Jiu-Jitsu is a Martial Art promoting a smaller, weaker person can defend themselves against a bigger, stronger attacker using technique, leverage, chokes, and joint locks. Brazilian Jiu-Jitsu is also a great sport with competitions worldwide. Jiu-Jitsu is for everybody. 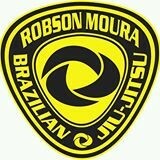 We are a family oriented facility providing expert instruction in Brazilian Jiu-Jitsu. From kids to adults, our comprehensive training is directed at preparing each student to become a complete Brazilian Jiu-Jitsu Martial Artist. We focus on techniques and drills to provide students with a complete set of skills necessary to properly defend themselves in real world situations. If your goal is to become competitive in BJJ, we can provide you with an avenue for success. If you just want to get fit, stay active, and learn the world's best self defense techniques. You have found your family. Our instructors have competed and have the necessary experience and technical knowledge to help you excel in what Sports Illustrated describes as the World’s Fastest Growing Sport! Fitness and conditioning is a natural by-product of BJJ training! Set your goals and train at your own pace. No ego's here! Come by and visit! Take a two week trial for $19.99, or just watch to see what it's all about.